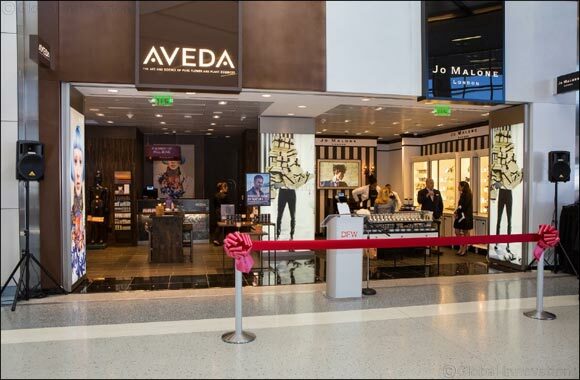 Dubai, UAE, July 26, 2016: Aveda, Jo Malone London and MAC Cosmetics are bringing new luxury beauty options to customers traveling through International Terminal D at Dallas Fort Worth International (DFW) Airport. The three stores—all of which are part of the Est�e Lauder Companies, Inc. brand portfolio—celebrated grand openings today with ribbon cuttings and free service offerings. With a portfolio of more than 30 brands, Est�e Lauder Companies products are sold in more than 150 countries. Solely focused on prestige beauty, Est�e Lauder Companies is widely diversified by brand, category, geography and channels of distribution. The Est�e Lauder Travel Retail division operates in 285 airports worldwide, serving over 316 million departing airline passengers.